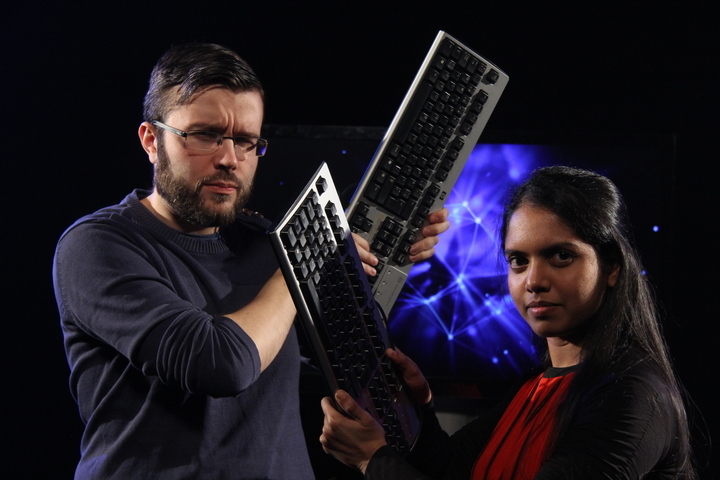 Typing Contest on Finnish TV. Daryl and Paba were featured in Yle TV 1’s Prisma Studio TV show on April 6th. The idea was to test the lab’s recent finding that touch-typing does not guarantee better typing performance, by organizing a typing contest between a touch-typist (Paba) and a non touch-typist (Daryl). No spoilers, the video can be found here. Now that‘s a teaser pic.